One visit to RVontheGO’s North Carolina RV resorts and you’ll want to visit all of our RV sites in North Carolina. From the Blue Ridge Mountains in the west to the Atlantic shores in the east, North Carolina and our RV resorts offer some of the best scenery in the country. Whether you are looking for a weekend getaway or a long-term vacation spot, there are many RV sites to choose from in North Carolina, the Tar Heel State. With many regions of RV sites in the state of North Carolina, it’s not hard to find one to satisfy your needs. 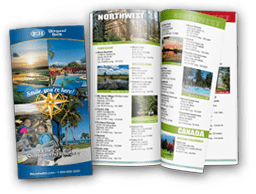 Check out North Carolina RV resorts in Asheville - Blue Ridge Mountains, Beaufort County, Crystal Coast, Lenoir and Caldwell County, Raleigh and Winston - Salem.